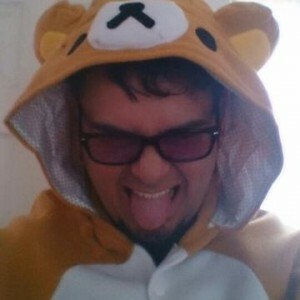 Here at JROCK NEWS we tend to cover Jrock music and all things related. Today I am bringing you a little something different. 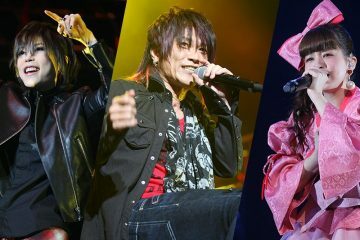 Sure, there are visual kei bands out there that are not from Japan, but, this is a metal band. So, if you have a taste for that heavier stuff or just want to try something new that might tickle your fancy. Voodoo Kungfu may just be worth your time. Voodoo Kungfu can be most easily described as a Chinese folk-Metal band. 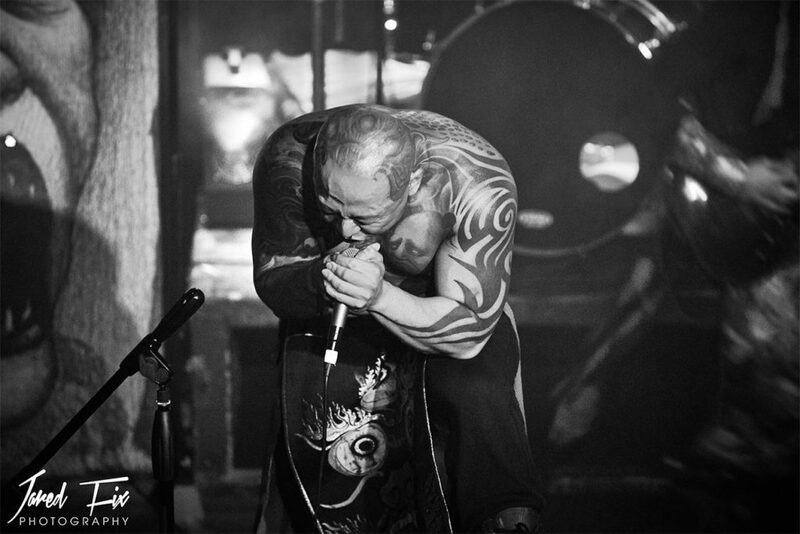 They incorporate a range of techniques common to metal such as heavily distorted guitars and loud, angry vocals. Due to this graphic nature, their official facebook states that after being labeled as an “anti-humanity band” they were banned from all major festivals in China. This put them in a place where they seemed to be doomed to fade into non-existence. However, since being granted a music scholarship to the University of California Berklee, Nan Li has been able to let his voice be heard yet again. On September 21, a Thursday. I was granted the opportunity to finally see what I consider to be one of the more innovative bands I have ever listened to. At the last show of their tour, Voodoo Kungfu gave a performance I will not soon forget. 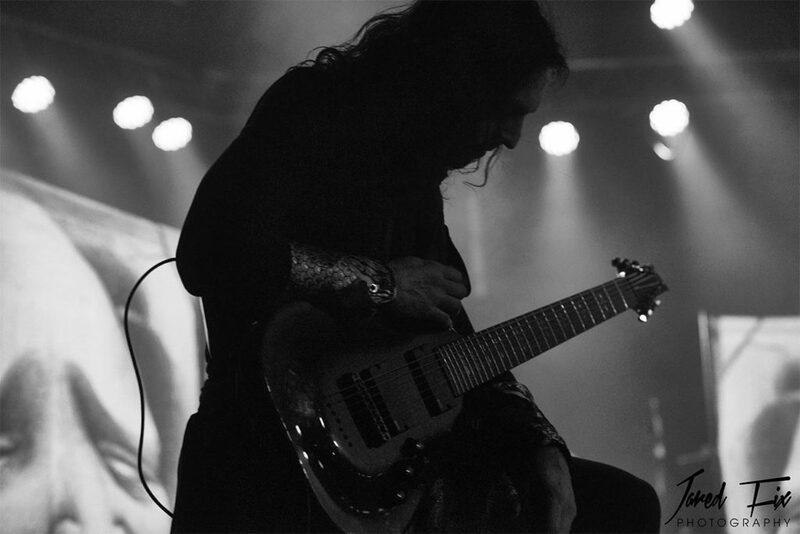 I am positive that much of the audience was surprised by what they saw that night as they were far different from the headliners, PAIN, and Orphaned Land, who put on great performances. 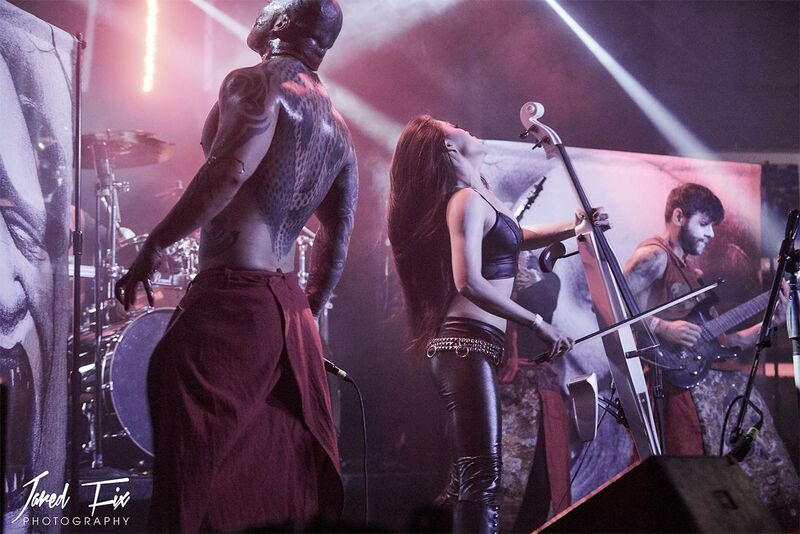 However, there was a change in the atmosphere as Cellist Tina Guo took the stage to make her preparations. Many people have probably heard her work before without knowing. Her list of works and contributions is astounding. Most notably, she recently took part in the creation and performance of the main theme for DC’s Wonder Woman. If you haven’t heard the track yet, it’s pretty killer and really shows what an electric cello is capable of. After a short setup, all the performers for that night left the stage. Their drummer, clad in red with a demon’s mask began to beat a drum. There was a tribal feel to it as it eventually led into the first song of their set, Mongol. Soon, everyone had taken the stage saved for singer Nan Li. Tina Guo would not take the stage until the second half of the show. Finally, Nan Li made his appearance wearing a hooded robe with what I could only describe as a mask resembling that of an executioner. As the performance started he brought the microphone in closer to let out his voice. This is what makes Voodoo Kungfu so special. 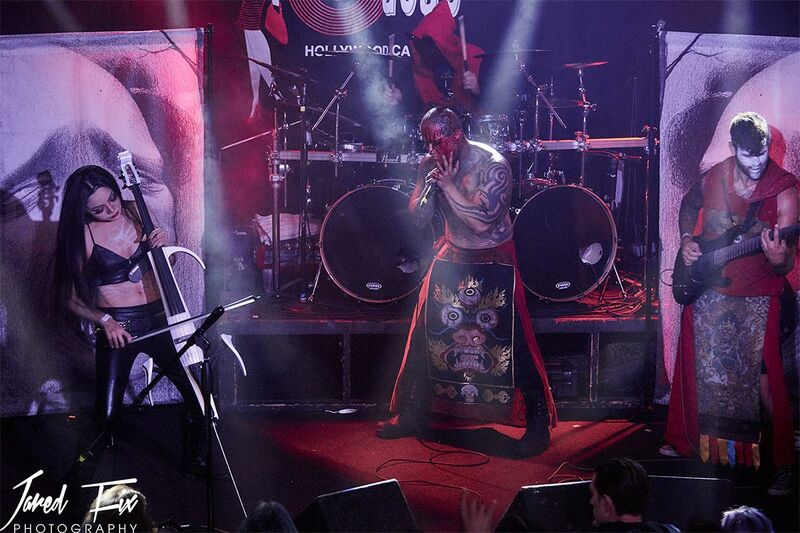 Nan Li’s singing style incorporates some of the more traditional sounds of metal with some of what he learned in his travels through Mongolia and Tibbet. Their songs have singing styles like those of Tibetan monks and what he learned from Mongolian witch shamans. To accent this unique background, each song that I had heard before was slightly different from the album versions that I was so used to. As a long time listener of Voodoo Kungfu, I was more prepared for what was happening than many of the other audience members. A small group of us began to bang our heads and others were simply awestruck. Mongol almost perfectly melded into the next track Celestial Burial. 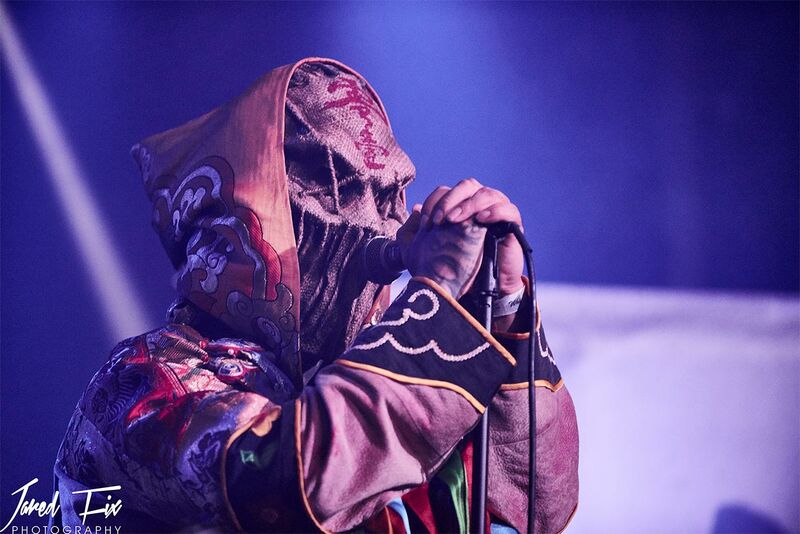 With his hood down and the mask on full display, Nan Li and Voodoo Kungfu had a demanding stage presence. You couldn’t look away for a moment because you might miss something. The gaze of the room was locked on the robed figure. Eventually, Nan Li would remove his mask and robe entirely. Now with his face and his tattoo-covered upper-body exposed, you could see the absolute devotion he had to his performance. It was as if he had been taken over by some other entity that he struggled to bring under control. Nan Li was not alone in the devotion, guitarist JD McGibney also warranted some of the audience’s attention with his stunning performance. Everything about them was sublime and executed perfectly. By the time the band started to play Bruce Lee, the audience seemed to have become better adjusted and were more willing to move with the music. Bruce Lee is an insanely high energy song that really makes you want to let loose like the Jeet Kune Do master himself. The unrelenting guitar pounds and pounds away at the listener like the fist of the dragon. The deep and heavy tones of the guitar are accompanied by a surprising range of guttural shouts to the high-pitched trademark sounds of Bruce Lee himself. 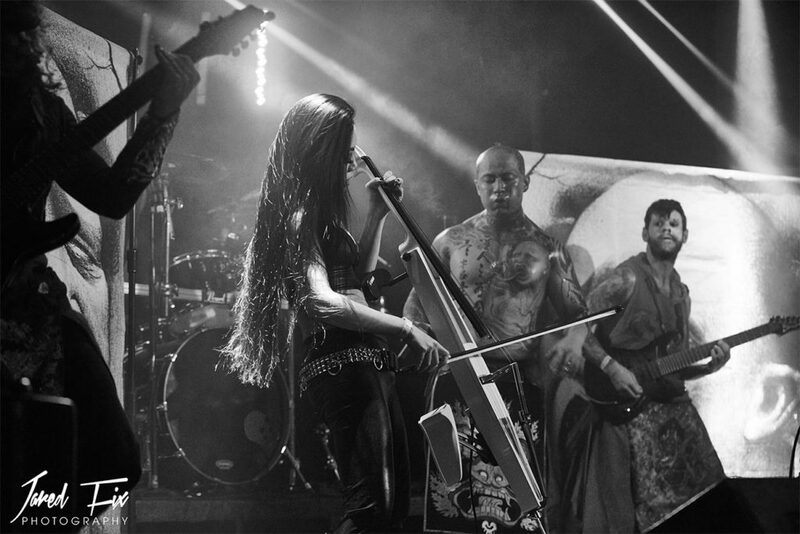 For the performance of Theocracy, Tina Guo finally took the stage with the rest of the band. 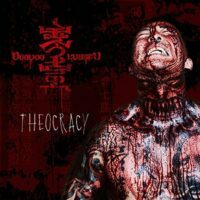 Theocracy is the newest track by Voodoo Kungfu and keeps up with the rest of their library in maintaining a high-energy feel with elements of traditional music mixed in. It’s a really engaging track that takes a hold of the listener and doesn’t let go until it gets its point across. Tina Guo’s presence was very welcomed and fans adored her. They were mystified by her cello, not just by its appearance but by the way she played as well. She played with amazing speed and accuracy that matched perfectly with the rest of the band. Voodoo Kungfu closed out the show with a cover of Raining Blood by American metal legends Slayer. 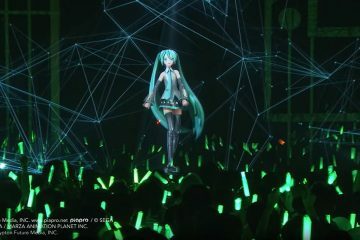 At the sound of the iconic opening, fans became to scream with excitement. It’s a song known by many and was a perfect way to close out their night. Perhaps the best part of their cover is the addition of a solo using a traditional Mongolian cello (morin khuur). Voodoo Kungfu really took that song and made it their own when they made their cover. At the close of the song, the band stood in unison and shaped their hands into a traditional wushu greeting (a fist to the open hand). At that moment it was as if Nan Li had become a different person from when the performance began. As they exited the stage Nan Li grabbed a hold of Tina Guo and gave her kiss on the cheek leaving behind a blood stain. It was a fitting close to not only an amazing performance by the band but for the end of an amazing tour. Even as they left, some fans could be heard screaming for more. I was lucky enough to run into Nan Li before the show who was, in stark contrast to his stage presence, a totally humble and quiet individual. After the show, I was also lucky enough to run into their guitarist JD McGibney. JD was honestly one of the friendliest and most helpful individuals I have ever met. Due to the translation of Chinese to English, it is pretty hard to track down all their music at the moment and accurately know what you are listening to. 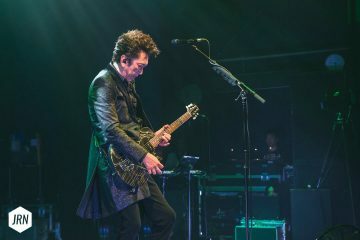 Not only that, the views expressed in their album, Tibet – The Dark Age, got them banned from many of China’s major music festivals. Voodoo Kungfu is definitely one of the best bands I have seen live. I would place them somewhere at the top with Dir en Grey. The eccentricity and captivating performance of Nan Li is something that I could easily relate to that of Kyo’s performance. However, to do that would be unfair to either artist. They are both equally unique and talented. 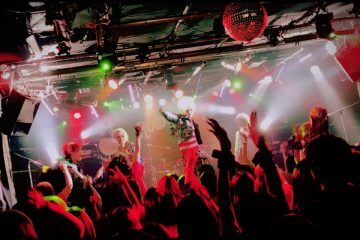 The biggest similarity is their ability to get fans completely entranced in their performances. You should definitely give Voodoo Kungfu a shot, they are worth your time. Special thanks to Jared Fix for helping us out capturing the night with his excellent photos.